Visit the SWCC Virtual Cyber Center. Crystal Dye, Information Systems Tech. Lots of schools offer business & engineering degrees. Why choose Southwest? The career fair and opportunity showcase will provide an opportunity for past, current and potential students to network with academic and professionals serving the insurance and financial services industry. The goals are to connect: potential students with the appropriate Southwest program of study to meet their employment objectives; current students with continuing education opportunities with 4 year partners; students with potential employers; employers with potential employees. For more information or to participate, contact the BEIT Division Office at 276-964-7277. 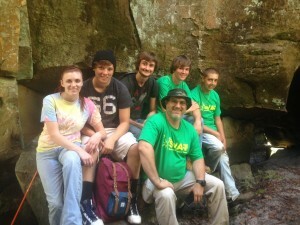 Southwest Adventure Team - SwAT, on Channels hike. $5 membership dues paid each year. Open to students, faculty & staff. Like us on Facebook!